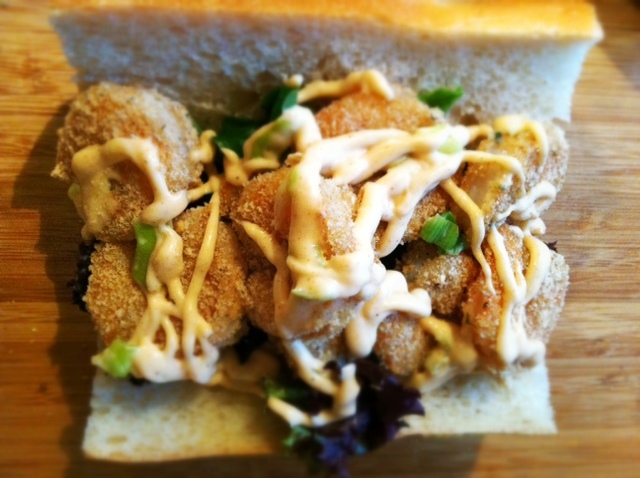 Shrimp Po Boys are a fun thing to order when you’re at the beach or a local seafood restaurant. Because they are fried and covered in delicious sauces, navigating your way through both eating them and trying to maintain a healthy diet, can be impossible. I created (don’t I sound artistic) this recipe with healthier eating in mind. 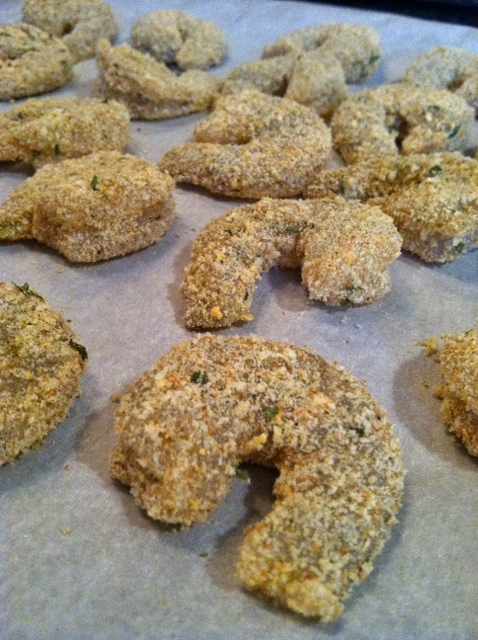 I baked the shrimp instead of frying! Now, don’t get the wrong idea. It still has french bread and a sauce, but it is MUCH better than your restaurant alternative, if you’re craving this sort of thing. 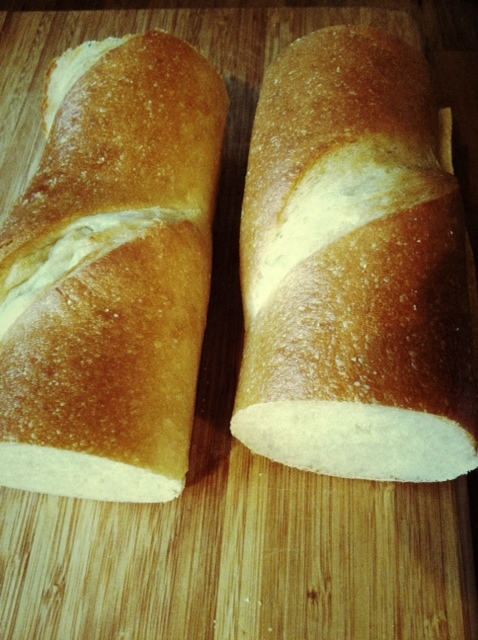 The baguette I found at the grocery store bakery that day, was still warm from the oven! In a small bowl, combine all the ingredients for the remoulade and let it set in the fridge. 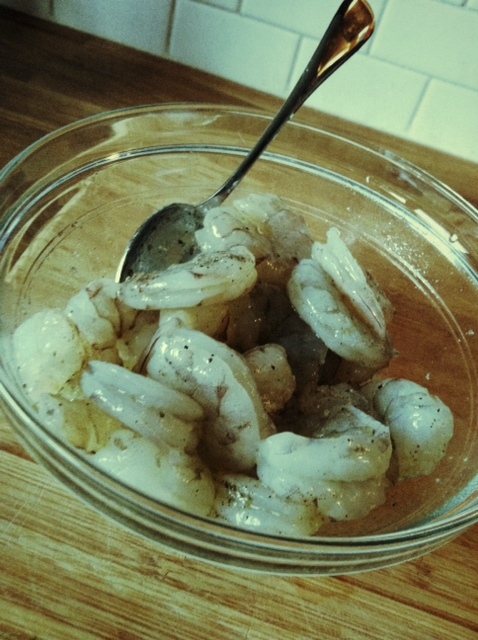 In a bowl, toss shrimp with olive oil. Season with salt and pepper. 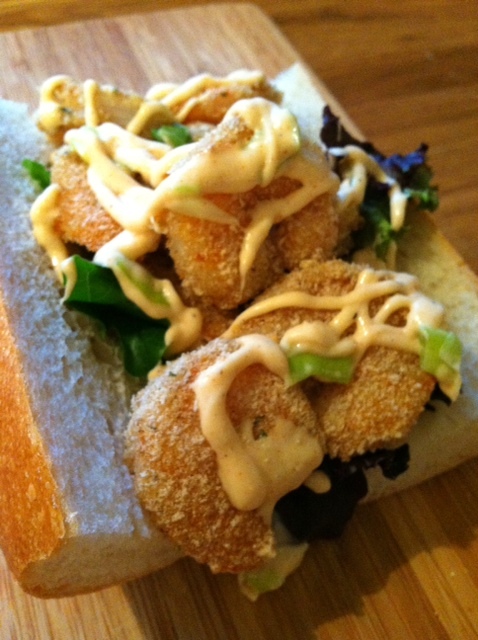 Dredge in bread crumbs and place shrimp evenly on a parchment lined baking sheet. Bake for about 10 minutes, until shrimp are cooked through. Remove from oven. Slice baguettes 3/4 of the way through, so that bread is still attached on one side. (This makes it easier to eat. ) Warm if desired. 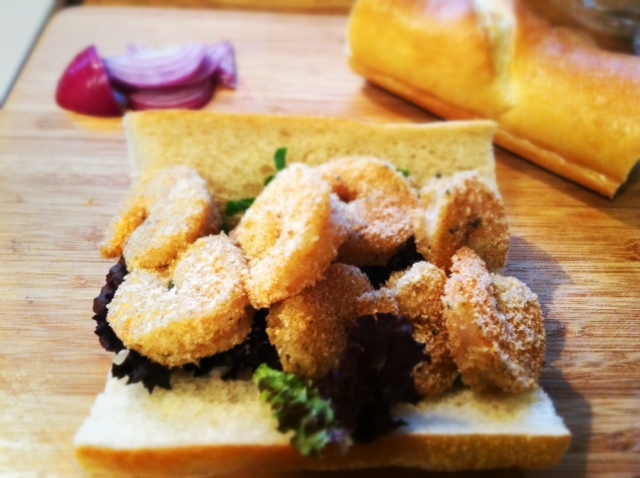 Layer baguettes with mixed greens, 5-8 shrimp (depending on size) and top with remoulade.